EFL Kindergarten Lessons: From What Age? At Dave and Amy English School, we teach kindergarten kids from 4 years old. When students join our school, we want ALL children to participate fully in our lessons. 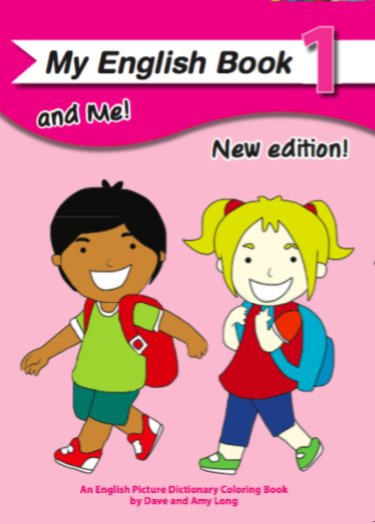 We have found that MOST 4 year olds can sing a long, speak confidently, do homework in the My English Book and Me 1 and 2, work in groups and make significant progress in a short time. With 3 year olds, some can and some can’t. And you never know which ones can or can’t in the trial lesson. Most 4 year olds enter the classroom happily with no crying or clinging onto Mom. Again, with 3 year olds, some can and some can’t. We find it best to begin when we know 99% of kids will be able to fully join in and benefit from our lessons. Another reason we begin from the age of 4 is that we find that 2 years of kindergarten lessons before kids move on to reading and writing (with My English Book and Me 3) is good. If kids begin at 3, they might have 3 years of kindergarten lessons. Even though our lessons are AMAZING (of course) kindergarten kids sometimes get bored of the games/ songs/ activities of the kindergarten class. And worse case scenario, they quit—-just as they are getting really good AND just before they will move onto reading and writing and a different style of lesson with My English Book and Me 3. Of course, we get many phone calls from potential students who are 2 or 3. We explain our policy and ask them to call us in 1 or 2 years. And we DO get the same people calling back 1 or 2 years later saying they have been waiting to join the lessons. If you have a policy and good reasons for it, don’t be afraid of LOSING students. Because in the long run you will GAIN students. Students will come to you ready to learn and stay with you a long time. We teach many students that began with us in kindergarten and are now in Junior High School. How about at your school?